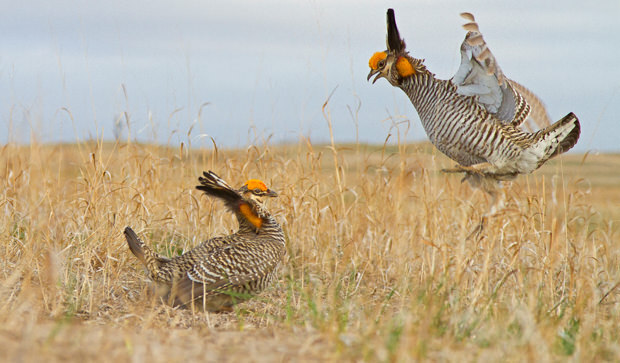 More and more people are coming to observe the Prairie Chicken's booming (mating dance) in the Spring. Photo courtesy of Rick Rasmussen. The elaborate dances are paired with cooing and feet-stamping that can only be measured in beats-per-minute. Photo courtesy of Rick Rasmussen. While their feathers may be somewhat drab, these grouse do have magnificent colors to show off. Photo courtesy of Rick Rasmussen. Have you ever heard of birds booming? In early March and on into April, sharp tailed grouse and prairie chickens gather into leks for their annual breeding ritual. 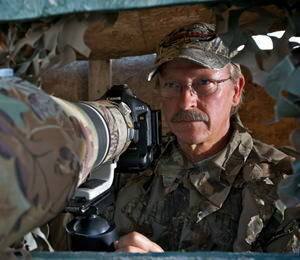 It is a spectacle that is ancient and perhaps one of the most amazing wildlife viewing experiences a person can have. The activity on the lek is a hallway in junior high school. The activity on the lek (booming ground) can be described like a hallway in Jr high school: with a lot of noise, fighting, and showing off going on, all in attempt to win the affection of the female bird. 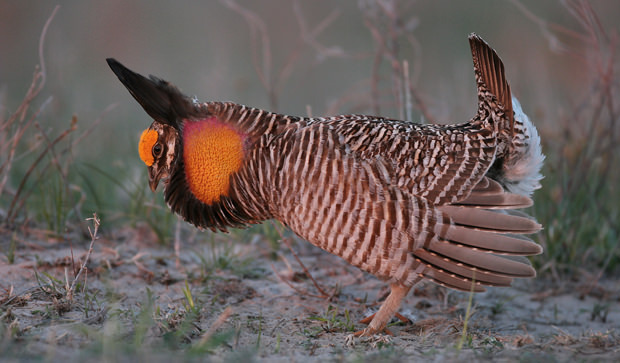 The Greater Prairie Chicken and the Sharp-Tailed Grouse are both native grouse species found in Nebraska, both require open prairie. Weather you watch them with a guide in Burwell, Mullen, or on a county road, it is a real memory maker. 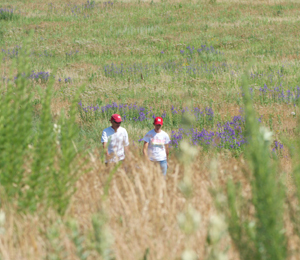 When you need a peaceful diversion from the daily grind, visit one of the nearby prairies and hike the trails.